We give gifts because it feels good and it feels right. I’m a giver and interestingly enough, The Giver is still my all time favorite book. I love the act of giving because it brings me joy. I can’t help it. It’s probably why I got married young. I wanted to give myself fully to someone. Also probably why I became a therapist. I wanted to give advice and help people. Calendar Gift : This is the gift that just keeps on giving. A gift for each month! Step 1: Making the envelopes. See below left for dimensions. (LeftHeight = 5 inches, Top w/ tab= 3.5 inches, and bottom without tab =3.25 inches). 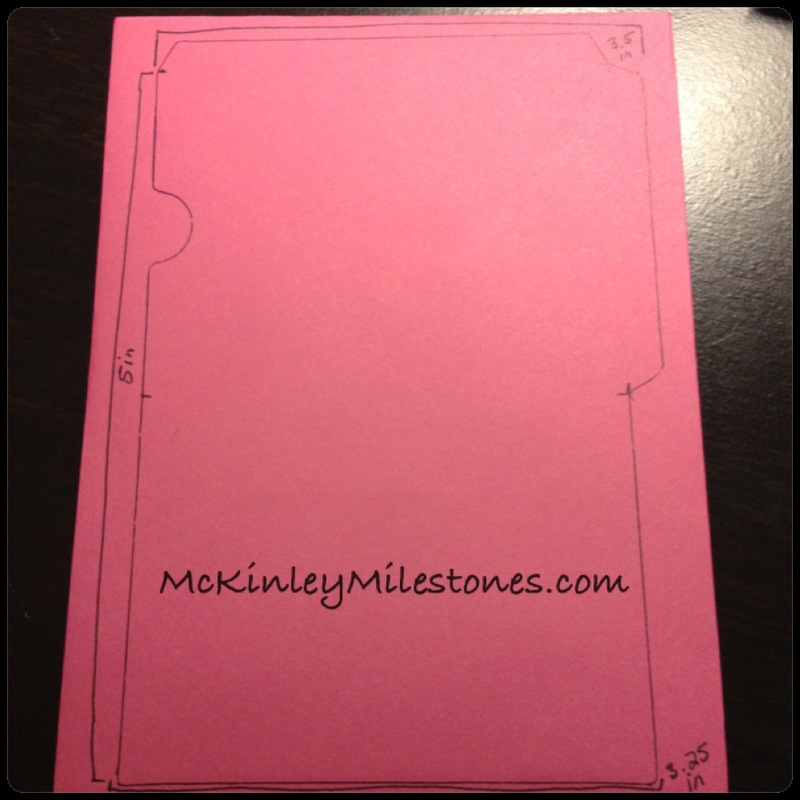 Draw out this design 12 times on the same color paper or different colored paper (up to you). Step 2: Then Cut them out using scissors. 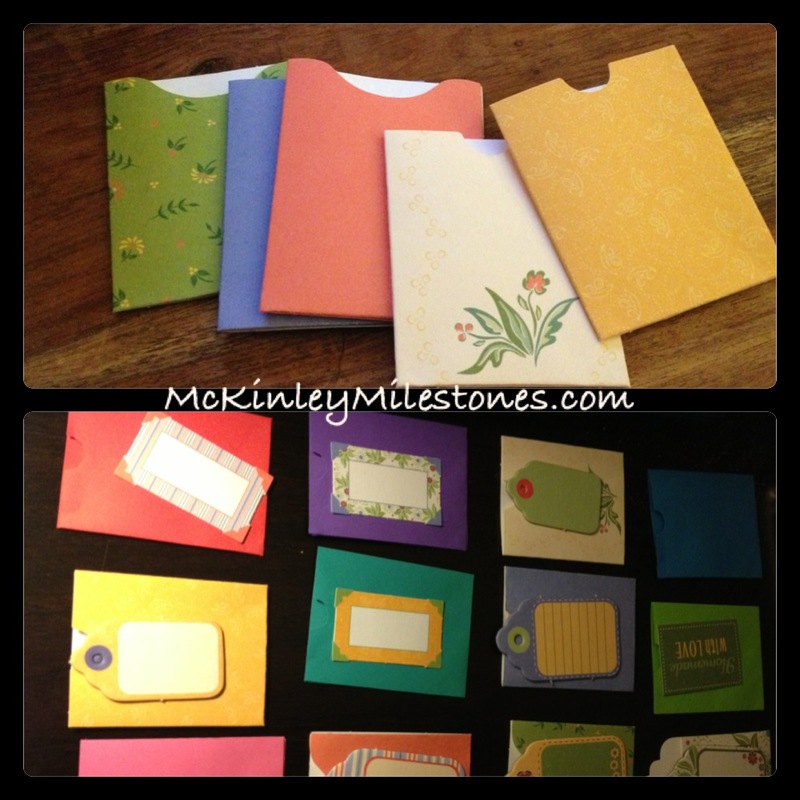 Step 4: Make 12 envelopes. Look around the house for cute tags or little pieces of paper that you can write on to put inside the envelopes! 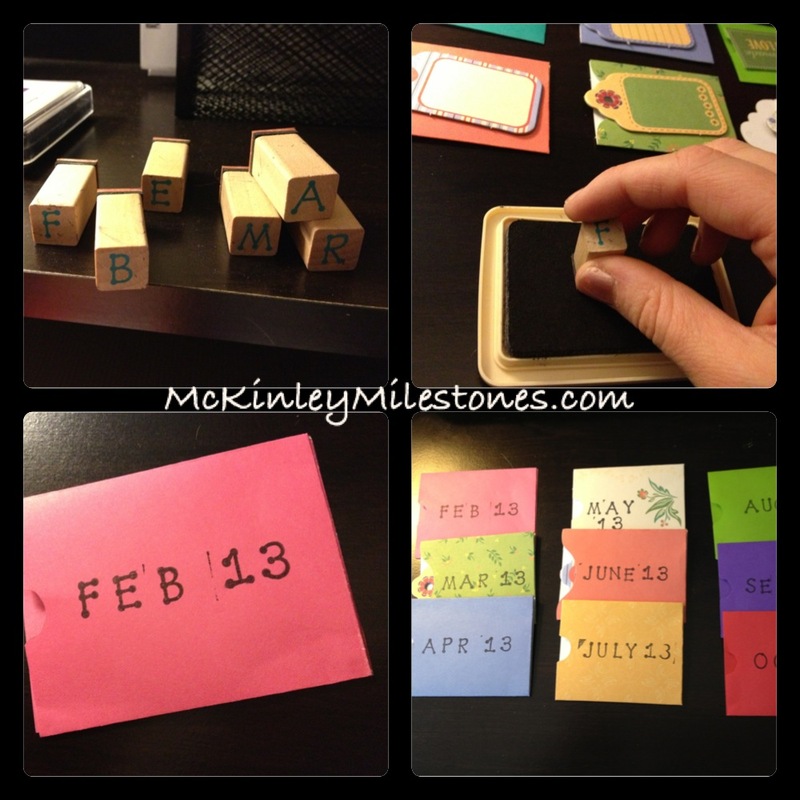 Step 5: Use stamp collection to stamp on the Month & Year to each envelope. 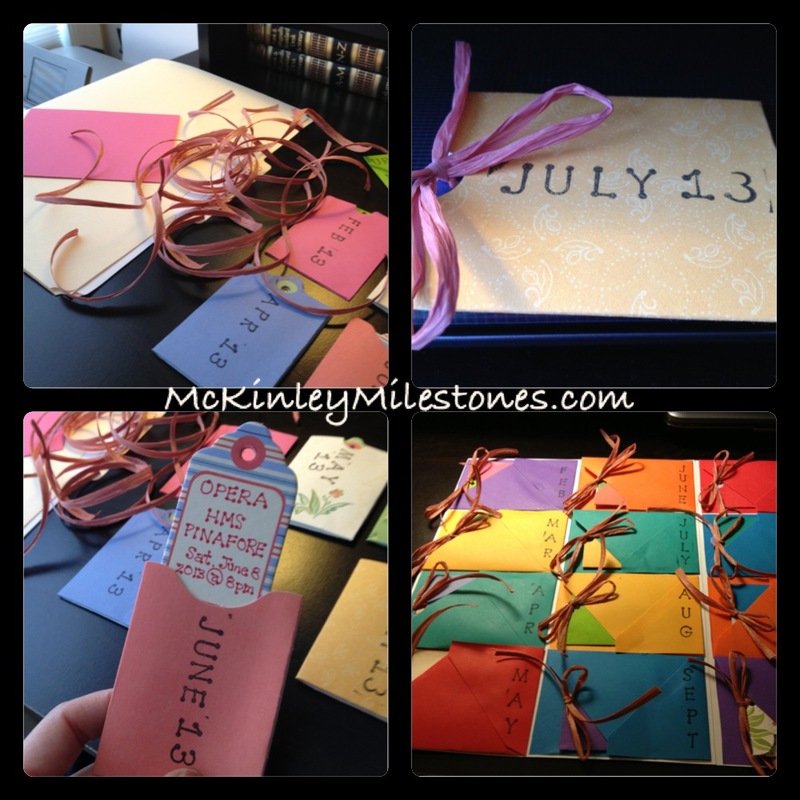 Step 6: Write on the tags or pieces of paper the different gifts of the month you are giving. In the picture below (lower left hand side) you can see my “June” gift is attending the Opera. Step 7: Once you have thought out all your gifts and written them onto the tags, place them into the corresponding envelope. 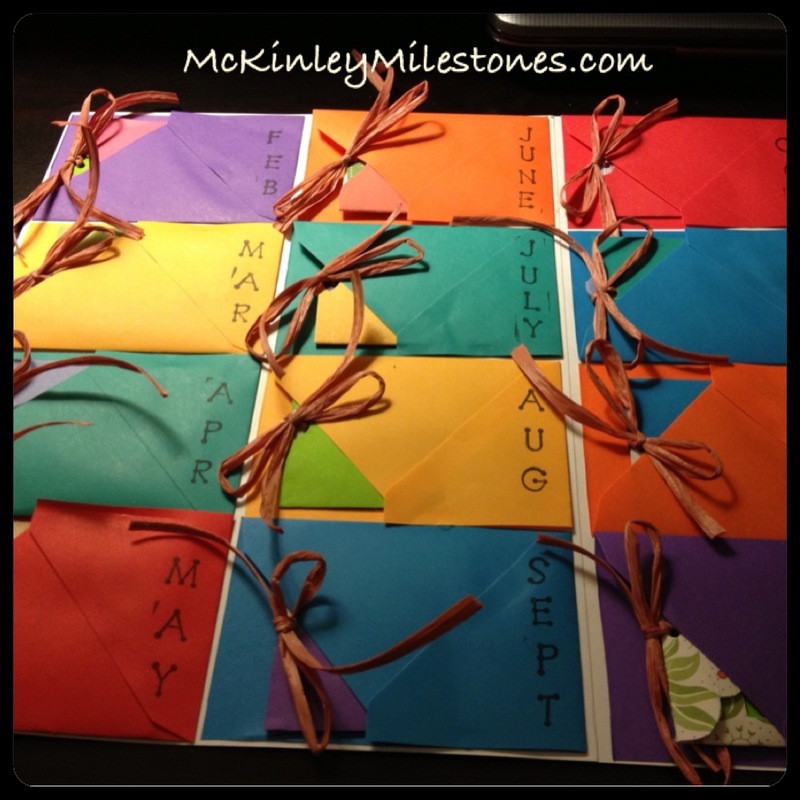 Step 8: Hole punch each envelope, cut out 12 pieces of ribbon, and tie a bow to secure each months gift. 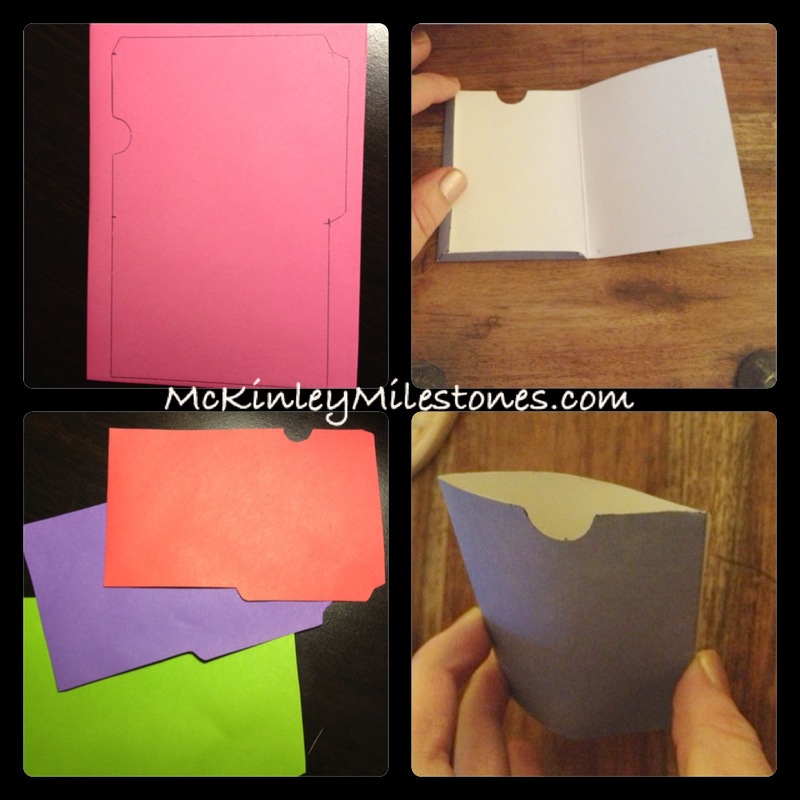 Step 9: I then glued two sheets of card stock paper together to create a “board.” I took real envelopes and cut them in half, glued them down to the board to create “sleeves” to slip my gifts into!